Nordic countries often rank high – if not the highest – in international surveys on happiness and quality of life. As a professional, you can expect a healthy work-life balance, gender equality, flat hierarchies, and access to an efficiently run welfare state. A high proficiency in English and technology has fostered innovation hubs and a buzzing start-up scene, attracting international talent. Sometimes overlooked, there is a personal journey behind each such relocation. There is, of course, the discovery of a new culture, coupled with expectation, hope, disappointment and wonder. More profoundly, there is the encounter with ourselves, exposed in the light of the new culture. Outside our comfort zones, we are more vulnerable than ever of our own personal shortcomings, values and aspirations. 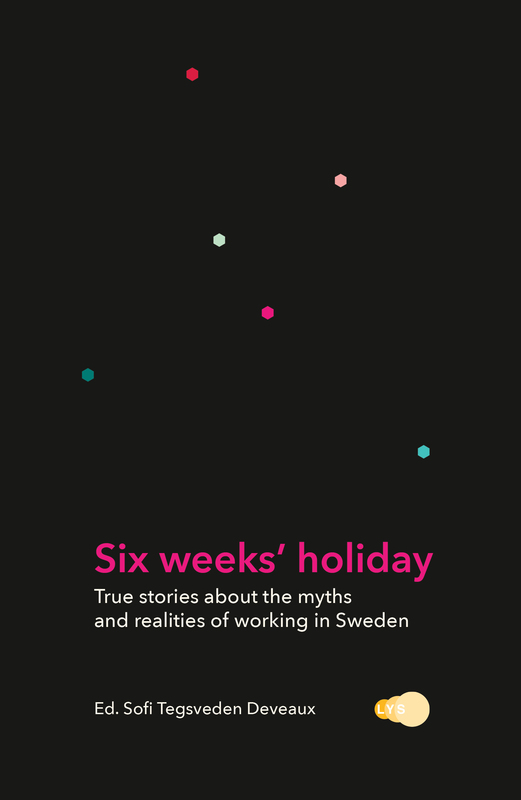 In Six weeks’ holiday, 17 international professionals share their experiences of exploring the myths and realities of Swedish culture and working culture, alongside the universal question of being human — as one among many. Curated and edited by the co-author of Working in Sweden – The A-Z Guide. Order from Adlibris, Bokus or Amazon.